The melting point of candle wax. 54 Celsius are the creators of Pyropet and Message Candles. 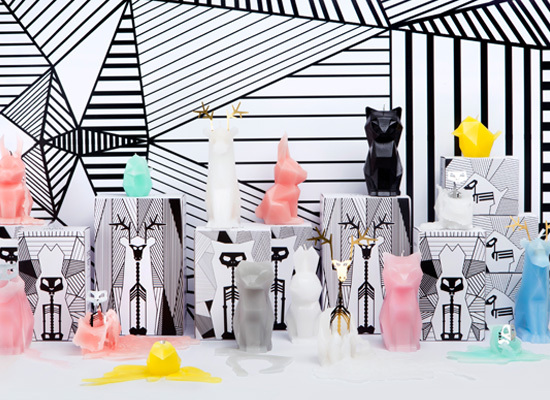 Pyropet is the original skeleton candle, designed by Thorunn Arnadottir while she was studying at the Royal College of Art, London, in 2011 and funded through Kickstarter in just four days. Arnadottir, with collaborator Dan Koval, plans to further expand the range, so expect more from these much-watched waxmakers!